There is no doubt that you are likely to find a blender in most kitchens today. Any blender would chop the fruits, vegetables, and blend soups that you put in it. The difference would come with the results that you get from the blender. If you want the best blender for smoothies, then you will have to take the time to sift through the different models available today. No one would want to end up with a model that leaves fruit chunks in a smoothie. We get to give you a comprehensive guide that you will have to follow when it comes to choosing the best blender today. How to Choose a Blender for Smoothies? What kind of blender for smoothies? How to load a blender for smoothies? Can you use a food processor as a blender for smoothies? The motor is the muscle of the blender and for this reason; there is the need to make sure that you have a motor that would handle the blending activities. Most of the blenders today would come with motors that can generate power between 500w to 1200w. Depending on what you need to blend, you have to choose the blender with the right amount of power. Take the time to understand your needs for a blender before choosing one based on the amount of power that it has to offer. The high-power models would often be expensive for most people, but you need to choose one that will always give you the best performance. 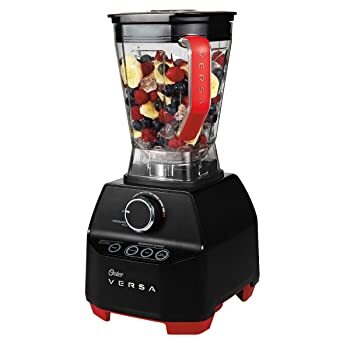 You could find most people settling for a model with 750 watts of power, as it is enough to make the best smoothies with ease and would be affordable too. Having a wide base is important stability of the blender. The blenders would have the motor and blades spinning at a fast rate making the handling of such a machine hard. It is the reason you will need a blender that would have a wide base to make it stable. You will also need one with a non-slip base so that it stays in position each time the blender is turned one. The type of material used to make the base also matters a lot. If you get a model that has a metal base, then it would be the best. Having a metal base provides the solid construction that the strong motor needs to keep spinning at the high rpms. Most of the time, the pitchers of the blenders would be glass or plastic. Each has pros and cons, so you have to choose carefully. The most common to find on most blenders would be the plastic pitchers. The plastic pitcher would be lighter and easier to handle most of the time. The con is that they are often prone to scratching. The glass pitches on the other hand would be heavier to lift and pouring. But you will find them being highly durable and scratch resistant. Unless you get to drop one on the floor, then the glass pitcher is going to last for a long time to come. If you are going to pick the plastic pitcher, then you might want to consider if it is BPA free. No one wants to end up with smoothies that are contaminated from the chemicals that come to the plastics. Always make sure it is BPA free before making the purchase. The size of the pitcher is another important aspect that you should consider. The size is going to depend on your recipes, how many people you are going to serve, and versatility of the blender. No one wants to keep doing more than one serving at any time. It is the reason you will want to go for a bigger pitcher most of the time. As much as you might not always use the big pitcher at all times, it comes in handy when you have more people to serve at one time. You should also get a pitcher with a wide base. This comes in handy when you have to clean the pitcher once you are done with the blending activities. The type of brand that you choose is important to make sure that you get to pick the right type of blender always. The best brand blender for smoothies includes Nutri Ninja, Cleanblend, Oster, Breville, and much more. You will get to learn more about such top brand from this guide. If you get a product from such brands is a sure way that you will end up with the best working blender. These brands are reputable when it comes to delivering high-quality products all the time. You will also have a peace of mind knowing that the model you just got for yourself is going to last for a long time to come. Before you can buy anything, you would take your time to research and find the best budget blender for smoothies. You need to make sure that you get the right blender at all times. If you find the best blender for the money, then it would great as you will not be regretting why you got it in the first place. The best way to pick a great model would be comparing its features with the other models available within the same category. Sometimes you might be surprised how it is possible to end up with a great model with great features for less money. Cleaning is important when it comes to keeping the blender spotless. The question to most users is how easy it would be to do the cleaning. It is the reason most users would want to see that they get a blender with the rating of dishwasher safe. Being a dishwasher safe model means that you get to find a model that will be easy to clean each time you are done with the blending part. Even if the model is not dishwasher safe, you still one that would be easy to clean. Some of the features that would make a model easy to clean would a wide base pitcher that is easy to clean. 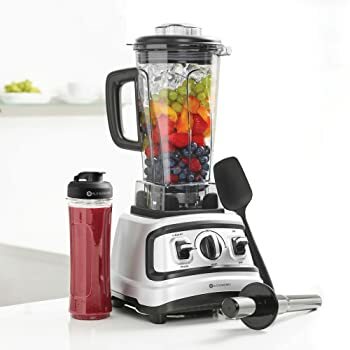 This model comes from a top brand and also one of the best smoothie blenders on the market, so you can expect everything about it to be all about the best types of blender you can buy today. It is designed to offer professional performance and enough power for different types of applications. This impressive model packs quite the punch when it comes to power. You end up with a 2 HP motor that should have the ability to handle different types of tasks within seconds. You can always blend anything that you want for your smoothie to taste better. The use of the Total Crushing Technology in this model helps with delivering unbeatable power with its blades. What you achieve is an easy time pulverizing and crushing through different things such as ice, vegetables, and the whole fruits with so much ease. It is the reason you could use as the best blender for smoothies with ice and with frozen fruit. With its power, you should have your smoothie ready in no time as compared to other models with inferior types of motors. The generous capacity of 8 cups for the food processor makes it ideal when looking to make more smoothies for many people. You can still use the same for dough making. With the high-quality stainless steel blades, you should have an easy time chopping different things. Even for dough, the blades allow for mixing 2 lbs. of dough within just 30 seconds. The model is also designed to deliver nutrient and vitamin extraction with ease. This should help ending up with a nutritious beverage that still tastes good. You can get a silky smooth cup of nutrition by deciding to choose this type of model. Who would not want to end up with some nutritious beverage? There is no doubt that being a commercial blender it needs to have the best power to handle different types of work that might be thrown at it. Well, that you should not be a problem thanks to the 3HP motor that comes with a model. 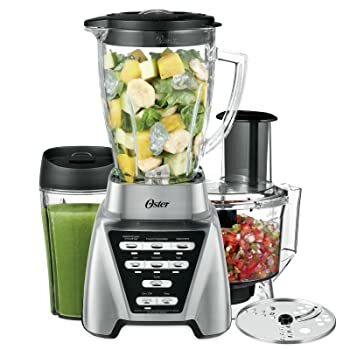 Enough power that comes from the motor is enough to make it the best blender for smoothies and soups. The power could still serve as important for those looking for a model great for ice crushing. To make it even better at its job, you get it made to have stainless steel bearing. Most of the common blenders would come with a plastic bearing. This would often end up having issues down the line. The use of the high-quality stainless steel design is important for offer more traction and easily handle the huge power coming from the motor. The stainless steel blade is another great way of easily crushing the different types of smoothies. The model uses high-end blade system that helps with chopping, liquefying, and pulverizing anything that would get into the blender. You should have any problem crushing your frozen fruits into some nice glass of smoothie. Most people would be pleased with the BPA free container. This is a sure way of knowing that your smoothies would not be contaminated. Since the container is 64 Oz., it should provide enough room for making enough smoothie for more people within one process. It is not just big, the container is made of a strong plastic. This should keep it working for longer without you having to worry about it breaking. The 5-year warranty on the model is a great way of showing you that the model would still be good to go after such many years. This is one of the top blenders you can get on the market right now with the best features. It is designed to outperform the basic blender and make it easily stand out. The model comes equipped with an impressive 1400-watt motor. The stainless steel blade found in the model can easily spin over 250MPH making the blending part to be effortless. This should be great for handling different smoothie recipes that some basic blenders cannot handle. 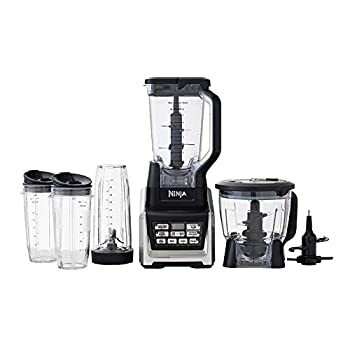 The best part is that the blender is still affordable as compared to some of the other well-known blenders on the market. The superior build quality is going to be another best thing that you can get from the model. The durability further makes it versatile so that it can handle many recipes with ease. It can easily make soups, crush nuts, and prepare the best smoothies too. You should now be in a position to make the delicious smoothies at home instead of buying some from the snack store close to you. The preprogrammed settings are important for making it easy for the user to start working the blender. The settings include for smoothie, soup and dip making. These settings can also be easily accessed through simple controls. You should easily get the model working in no time. With a spinning rate of 28,000 RPM, the speed should be enough to crush anything in its way with ease. The durable design of having an all-metal drive is important for keeping the blender running year after year. The blades are also designed to have the best durability so that they get to blend the fruits each time they turn. It comes with a compact design that makes it the best small blender for smoothies and ice. The Nutri Ninja Company is one of the best companies when it comes to making the best blenders on the market. Get the right product and you should have an easy time handling the different smoothie recipes that you might be thinking about. The best part about this model should be the amount of power it has. With 1500 watts of power, it should easily handle the different drinks you want to create today. Having the Auto IQ technology makes it great to work with a countdown timer. This is important when it comes to intelligent programs, which are important for blending, pulsing, and pausing patterns when running the blender. If you get this model, you should have an easy time handling the different smoothie recipes that need different countdowns for them to be perfect. With an extra large 72oz. pitcher, then you should be in a position to end up with something that you will like. You can now easily make enough smoothies for everyone who is at home with such a capacity. The large pitcher is also important for pulverizing the ice to snow within seconds. It is not just the crushing pitcher, but you also get a 64 oz. food processor bowl that comes with the model. The food processor will help in making up to 2 lbs. of dough within 30 seconds. Having a motor that delivers 600 watts should be enough to handle the different types of recipes that you have. With the same type of power, you can easily crush the ice efficiently so that you have the best smoothie too. The model is further engineered to run on a single blade that cuts the fruits and other ingredients precisely. This should give you the ultimate efficiency easily when it comes to making the smoothies. The design of the blade also makes all the ingredients to easily fall in front of the blade so that you end up with smooth and fine smoothie outcome. Another great feature you are going to love about this model should be that it is easy to clean. The model is designed to be dishwasher safe. The blade, lid, and bowl are all dishwasher safe so that you do not have to spend more time cleaning the blender in the kitchen sink. The compact nature allows the users to easily keep it on the countertop even when not in use. You can always access it whenever you want as it is at your disposal as compared to the other models that would have to store them away once you are done with the blending. Being an affordable model, you should not worry about spending your money on an expensive model. It comes with many features that even the expensive models possess. From its price and features, it is one model that will give you worth for every penny spent on buying it. Well, no type of fruit or smoothie ingredient will easily get past the dual direction 6 blade assembly. With the six blades, it should be easy for the blender to easily pulverize and chop the different types of fruit with so much ease. Cleaning is also easy and quick for those who are looking to get the jug cleaned immediately after making the smoothies. The blender comes from a top brand known for making blenders with an all-metal drive system. The importance of such a system is to make sure that the durability is maintained all along when the blender is used for making the smoothie. Being made of metal, it should easily beat the competitor plastic drive systems. Further tests show that the metal drive system can blend up 10000 smoothies. 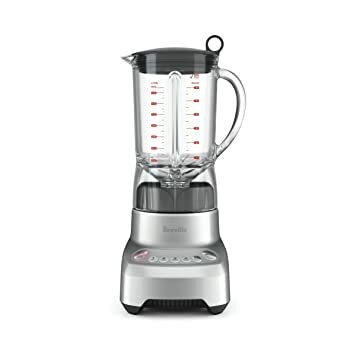 It is further backed with a 10-year warranty to just show this type of blender can last for years to come. 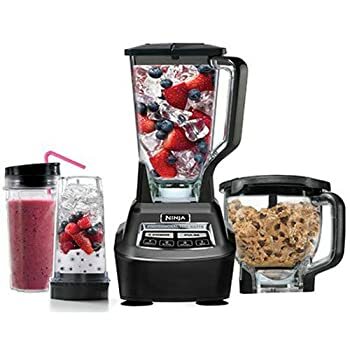 The model comes with pre-programmed settings that make the model versatile for blending various smoothie ingredients that you might have in mind. It also has a peak power of 1200 watts important for better performance as compared to some weaker models. The larger blades and wide jar of the model are all important for crushing more fruits easily and at once. The pro series also comes with enough power to help with pulverizing the coarsest veggies such as broccoli with a simple touch of a button. For those who are concerned about their health, then you will be happy to know that this model comes with a BPA free processing bowl. You no longer have to worry about contaminants. For this reason, you get this model being perfect for slicing, dicing, and chopping. When you choose this type of professional blender, you will be getting a lot of performance than what most models can offer right now. For this model, it has been designed to be versatile enough to handle different types of applications. You could use it for smoothies, home juices, and many more within just one appliance. With the responsive controls, you can achieve so much by adjusting the controls for every blend. One thing that easily stands out should be the five pre-programmed settings. The model would easily create consistent smoothies, soup, puree, and frozen dessert with little effort. You can walk away live it handle the smoothies and come back to enjoy some good times of your smoothie. Being a professional blender, you would expect that it comes with the best power to handle all those applications. It can generate up to 2.2 HP, which is enough for a blender. With such power, you should easily blend the tough ingredients. The self-cleaning feature is also something that will get you the best performance ever. By simply using some dish soap and some water, the machine can get to clean itself within 60 seconds. This should make cleaning no longer your problem again. It comes with a low profile container making it easy for storage and using whenever possible as it does not take up much space. You can even comfortably fit it under the kitchen cabinet without any problem. You might have used some models that would end up leaving chunks of fruits behind. This is what leads to having yourself sipping and chewing the smoothie rather than enjoying it. The manufacturer has eliminated this from happening by have 6 stainless steel blades in the model. The work of the steel blades would the cut the various ingredients into the right size so that it does not lead to having chunks in the smoothies. You will find this model being great for soups, juices, smoothies, protein shakes, milkshakes and a lot more. This is a powerful model that you are going to like having around the house. It is designed to deliver impressive 2HP of power making it a great device for various smoothie applications. The motor is further quiet so that you can easily handle the different types of applications without worrying that you will make a lot of noise in the house. Running at speeds of 30000 RPM should for sure quickly crash most fruits with ease. Once you are done with working on your jug of smoothie, it is possible for you to easily clean the blender with ease. The large BPA free jug is machine washable for ease of cleaning. Even if you decide to clean in the sink, you should be done in no time. The removable non-slip base should lead to an easy wipe down of the jug. The model is supplied with a 20 oz airtight cup so that you can have your smoothies on the go. It also includes an FBA-approved silicone spatula important for reaching down the blender to get everything out easily. The controls have been made to be easy to use when it comes to adjusting. You can easily adjust the speeds by using a dial. Simply choose the right speed that you need depending on the ingredients of the smoothie. With such great features, you can see why it is the best blender for smoothies and shakes, and juices. 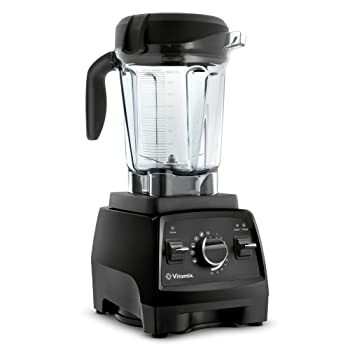 Multiple blenders exist today, but from our list, settling for the Vitamix Professional Series 750 blender is something that delivers the best performance and will make sure that you feel the worth of every penny spent on it. With a powerful 2.2 HP motor, crushing through those fruits and vegetables should be easy. The model further comes with a self-cleaning feature, which can be accomplished in 30 to 60 seconds. 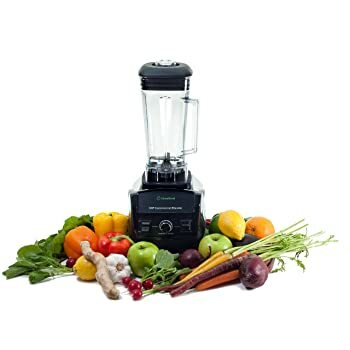 If you are looking for the best blender for smoothies, then you need a model with more power for crushing the vegetables and fruits easily. You still need a model with the best size in terms of a pitcher so that you can make enough smoothies for everyone. It should further be easy to clean once you are done with the cleaning. Some people think that you get to throw in all your ingredients in the blender and start blending. That is not the case, as you have to follow the correct procedure of loading the blender. You need to start by placing the softer and high moisture foods such as liquids, veggies, and fresh fruits as the first batch into the jar. You can now add the harder ingredients at the top such as ice so that blending would be done correctly. If you have blend the round fruits such as the apples, then start by cutting them in half before placing them in a jar. Yes, it is possible to use a food processor in place of a blender to make the smoothies. It is important you get to use the frozen fruits rather than ice when using the food processor for smoothies. The food processor should easily break down the fruits than the ice easily. To up with lean and green vegetables and you should be good to go. Cleaning the blender does not have to be hard, as you need simple supplies to make it happen. You simply need hot water and dish soap for the process. Start by filling the blender pitcher with hot water up to halfway. Add a drop of dish soap for the cleaning. You do not need a lot of dish soap for cleaning. Proceed to turn on the blender. Hold down the lid with a towel and keep it running for about 10 seconds. Pour out the dirty water from the pitcher and rinse. Make sure to rinse more than once so that all the soap is removed from the pitcher. Just like that, you have cleaned the blender. The best type of blender will have the best features that will ensure that each time you get to end up making smoothies. It is important that you check out some of the blenders reviewed here so that you can get the best blender to buy for making smoothies. All the models mentioned in the guide will give you the ultimate experience when it comes to enjoying fresh smoothies all the time.